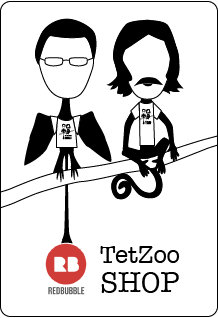 Episode 29 includes, are new tapirs really new?, a TetZooCon round up, a quick discussion of and many a cash for question. Questions include the usefulness to eve-devo to palaeontology, the advantage of antlerage, why pterosaurs are better than birds, and the confusing mess of ratite biogeography. John make a valiant attempt to get Darren to stop droning on and on about superheroes, but he can't be stopped. So take that, podcats listeners. August 1, 2014 by John Conway.